RXinsider | Associates of Cape Cod Inc.
Share booth #16107 with others. 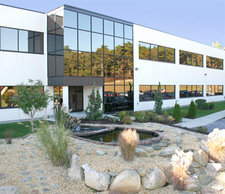 Associates of Cape Cod, Inc. (ACC. ), is one of the world's largest manufacturers of products developed to detect and quantify gram-negative bacterial endotoxins and (1-3)-ß-D-glucans. Our products are used worldwide by leading pharmaceutical and medical device companies to ensure the safety of their parenteral drugs, biological products and medical devices. Our goal is to provide the best products and services, as well as the best technical support and customer service, in our industry to enhance the productivity and efficiency of all our customers. We are ISO 13485: 2003 certified, our laboratories are FDA Inspected and DEA Licensed and our Beacon Diagnostics ® laboratory is CLIA certified. ACC is one of the world's largest manufacturers of products developed to detect and quantify gram-negative bacterial endotoxins and (1-3)-ß-D-glucans. Our products are used worldwide by leading pharmaceutical and medical device companies to ensure the safety of their parenteral drugs, biological products, and medical devices. Our Customer Service, Technical Service, and Contract Testing teams are ready to assist you with all aspects of endotoxin and glucan testing. Pyroclear Pyroclear® brand accessory products are the first products in the industry that are certified to be free of interfering endotoxin and (1-3)-ß-D-glucan contamination. Pyroclear brand certified products include depyrogenated test tubes, 96-well microplates, pipette tips and LAL Reagent water. These products are designed to reduce Out of Specification (OOS) investigations due to contaminated accessories. ACC is proud to offer a variety of instrumentation to support all your testing needs. Instruments like our Pyros Kinetix® incubating kinetic tube reader which offers the highest turbidimetric assay sensitivity in the industry. Bridge the gap between the affordability of filter-based readers and flexibility of monochromator-based systems with our VersaMax­� microplate reader. ACC offers a complete suite of reliable, easy to use research products. Developed for research purposes only, ACC's Research Products are designed to improve pyrogen testing while offering our high standard of effectiveness. Precise, easy-to-interpret data is an essential part of kinetic endotoxin detection programs. ACC offers three software packages designed to improve the efficiency and the compliance of your testing program all featuring 21 CFR Part 11 compliance, dynamic reporting options and increased data security.